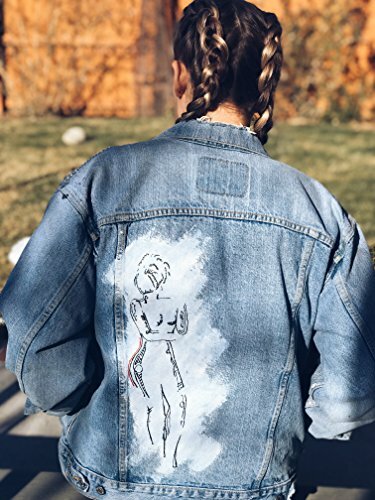 Unique female form inspired design hand painted on a denim jacket. Select from three different denim colors, and any available custom option for the colored portion of the design. If you have any questions about this product by dandy., contact us by completing and submitting the form below. If you are looking for a specif part number, please include it with your message.